Clean up and un-clutter your bathroom with a handsome new freestanding bathroom cabinet from Stardust. There are several considerations to keep in mind when considering a small bathroom cabinet. The goal is to minimize the use of floor space while maximizing storage space for bathroom necessities. Two cabinets we like are 1) Joe Colombo Boby Trolley and 2) Kartell Componibili. Functionality is an important feature of these two free-standing modern bathroom cabinets. Their timeless good looks makes them a perfect addition in any style of bathroom. They are equally at home in a business or home office where they can be used as office organizers. 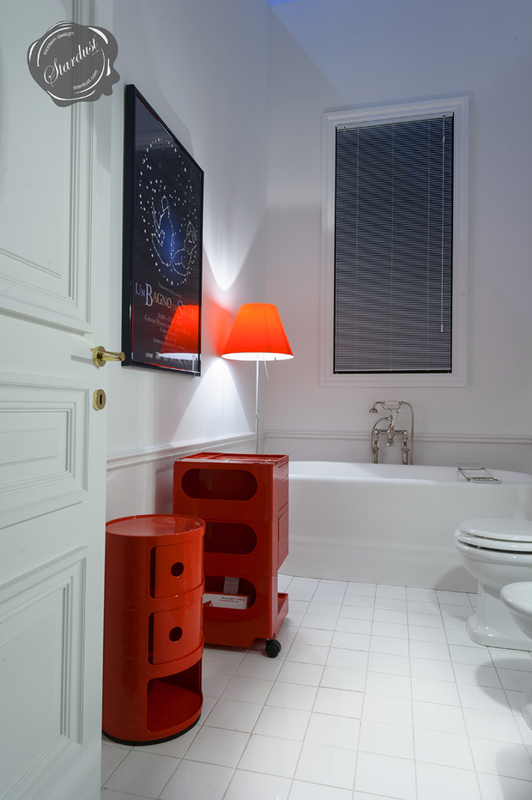 The lamp in the background is the Luceplan Costanza Floor Lamp.